How can you visit Maui on a budget and still enjoy the wonders of the island? For more information on how to do Maui on a budget, see my Maui on a Budget page. 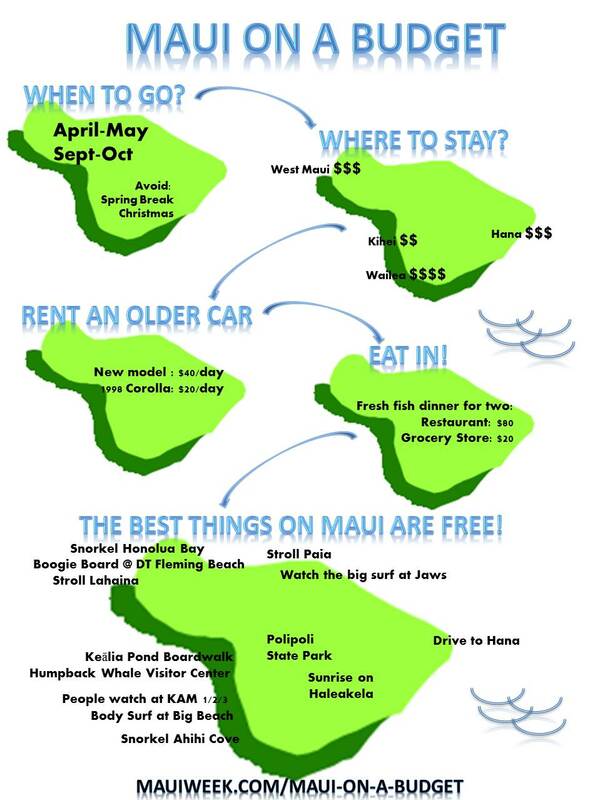 Feel free to share this Maui on a Budget Infographic by using the code snippet below in it’s entirety. Thank you!